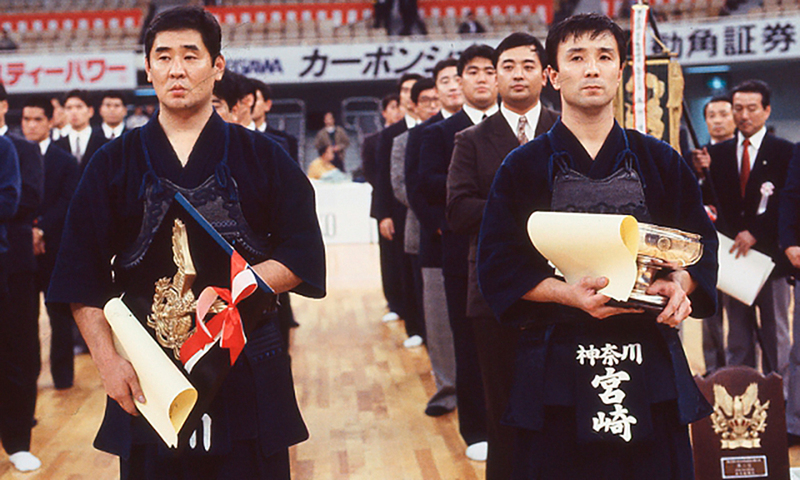 From 1984, there was a participation restriction to the All Japan Championship of “Those holding 6th dan and above). 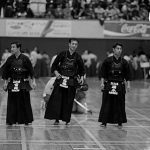 This reflected the opinions of those holding higher dan, who thought that a quick bashing style of kendo was becoming prevalent because players were too focused on winning. 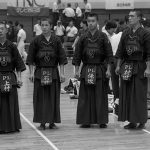 Many people, however, felt that the championships lost energy, and after experimenting with this restriction for 6 years, in 1990 it was changed to “those holding 5th dan and above”. At the same time, the umpiring method employed until the was only applied to the 1st and 2nd round. Later both systems were completely abolished. It was also this year in which the big stage was abolished, and they began using two arenas. 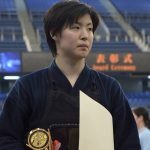 Due to the 6th dan restriction, many 5th dan players were barred from the championship. Miyazaki was one of those players too. He had just achieved 6th dan that year (1990). He already had the achievement of coming 2nd in the Police Championships and had represented Japan at the World Championships in Korea 2 years before, but he was unable to participate in the All Japan Championship, so we was not that well known. Actually, Miyazaki was proof of the absurdity of the tournament restrictions, as it meant someone representing Japan had no right to participate. 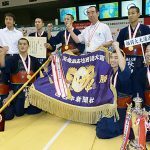 There were many players in their 20s who were participating for the first time, but those who won through to the top 4 were, aside from Miyazaki, all veterans: Masahiro Shirakawa (35) from the Tokyo Metropolitan Police, Masahiro Shindo (33) who was a teacher from Akita, and Sesaku Maehara (36) from the Kagoshima Police. Shirakawa had achieved 3rd in the Police Championships, but neither Shindo nor Maehara had any top achievements, and the semis line up was quite unexpected. 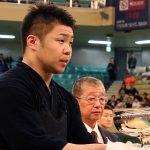 Miyazaki had defeated same-age Masashi Matsumoto (Kagawa Police), then first time participant Makoto Araya (Osaka Police), and veteran Tadahiko Sato (Saga Police) to advance to the semi-final. 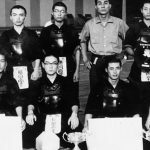 He faced Maehara, who was the surprise force in the tournament, defeating Tanetoshi Tarachi (Metropolitan Police). Maehara was a grade above Miyazaki, but Miyazaki claimed a hiki-men to advance to the final. The final against Shirakawa was one of the shortest final encounters in the history of the All Japan Championship. Within one minute, Miyazaki held his sword point and lunged into Shirakawa’s men to claim an ippon. He did not let off after the restart and lunged into the men again. His breathtaking speed left the spectators with great amazement. He was 27 then. It was the first time in 10 years that someone in his 20s had won the championship. The next year he became the first back-to-back champion in the history of the tournament. He went on the build the Miyazaki era, winning the same tournament 6 times in total.